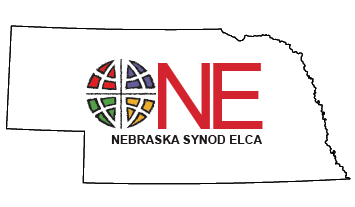 Leadership Devotion - November 2016 - "All of Us Are Needed"
The Nebraska Synod Leadership Development Table has spent a great deal of time talking about leadership in the churches of the Nebraska Synod. How can we affect development in leadership roles throughout the Synod? 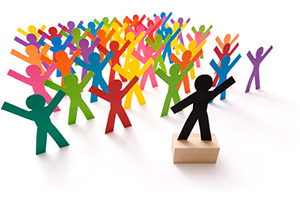 Leadership is an overused word perhaps, but most people think they have an understanding of it. Leadership comes in many forms. There are natural leaders, boisterous leaders, quiet leaders, accidental leaders and you can probably come up with many more descriptions. There are those who just always seem to be there. They are elected to councils and committees both in the church and the community. Others try hard, maybe even strong handed, to lead a group or a team to some goal. This is especially true if they believe strongly in it. Others lead by getting everyone involved in the project or idea, quietly going about getting people to buy in and get the work done; a quiet leader who doesn’t need, nor wants recognition, just results. Martin Luther, although committed to his beliefs that changes needed to be made in the church, by most accounts did not expect to become the leader of a reformation movement. Some might characterize him as an accidental leader. I believe leadership can be developed also. There are many people who have leadership qualities, but lack confidence to let them emerge. They would rather be the worker and let others do the planning. The body of Christ needs both; your communities need both. We need the idea people, the high energy people, the planners and most of all we need those who follow through on the plan to make it a reality. Roles may change from time to time. All of us are needed whether it is as the assumed leader, co-leader or co-worker to make the idea a reality. We are all one body in Christ. We have different skills, different personalities, and different interests, but are all part of one body in Christ. None of us can do anything alone, but all of us can do everything together through Christ. We thank you Lord for all the talent that we have in our churches and local communities. Give us strength to turn ideas into realities. Give us confidence to use our talents in whatever way that is needed as we move forward as one body in Christ. Dale Fornander is a member of the Nebraska Synod Leadership Development Table and a member of Berea Lutheran Church in Chappell, Nebraska.